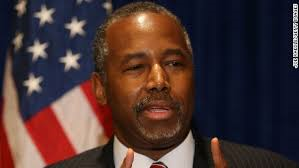 Minutes ago, President-Elect Donald Trump announced that he’s nominating Dr. Ben Carson to be his HUD (Housing and Urban Development) Secretary. Dr. Carson will be an important part of President-Elect Trump’s outreach to African-American communities. I expect he’ll play an important part in revitalizing major urban centers economically. In the past, HUD secretaries have been bit players, with Jack Kemp being the exception. Further, I expect Democratic special interest groups to criticize him because he represents a different type of thinking. In the end, though, I expect him to win confirmation with overwhelming bipartisan support.